Learning about the boxing jab and how all five can help improve your training and give you an edge in the ring. It is also makes watching a boxing match on DVD more interesting. Read how to throw the punches...and when! This move is done without moving your feet, body or head and is quite simple. Just extend the fist of your front arm out straight, towards your opponent and upon impact and/or full extension, bring the fist back to the starting point as you reset your body back to the regular stance. The basic jab is easy to throw without compromising your defense and is a standstill punch with focus on accuracy and speed for setting up the big punches. You must be sure to follow up with bigger punches like a left hook or right cross or you will not get the results you want and your opponent will just walk through it. As the name indicates, for this jab, you will step forward towards your opponent with your right foot in front as you extend your front fist out towards your opponent as well. This called an offensive jab in karate. Recover the jab hand and very quickly, slide your back foot up as you bring your feet back to normal stance. You will be one step closer to your opponent, thus the name, step jab. This boxing jab is packs more power than the basic jab and will surprise your opponent. It can be used when you want to quickly move when you are outside of reach to a position that is in reach and get some punches in unexpectedly. The move allows you to advance forward into your opponent, but still gives you the option to move back. The step jab can get you off balance though, so use with caution and be extra careful when your feet are spread further out than basic stance. Until your back foot slides forward into position, you 1-2 combination may be slowed down because you can't throw the right cross until your back foot slides forward. As long as you are aware of this, however, you can use the move for your advantage and work around the dis-advantage. The power jab is thrown with your whole body moving forward. First, move your front foot towards your opponent. 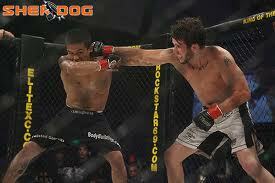 Then, slide your back foot up, bringing your body towards your opponent at the same time you are throwing the jab. The jab will be thrown while the back foot moves forward whereas the step jab is thrown when the front foot moves forward. This move enables a fast 1-2 as the back foot offers the stability to power the right cross immediately after the right cross is thrown. Hold in mind that there is not much surprise with this move so give it all you've got right off and keep that back hand up for defense. The pivot jab allows you to create power while pivoting your body defensively out of the way. You will pivot clockwise on your front foot as you throw the jab with your back foot swinging a foot or two from the start point. The front foot will stay in the same spot while pivoting on the ball of your foot. This move is great because it enables you to use angles in your punches which is certainly to your advantage. Throwing at an angle is easier for you and harder for your opponent to block. Your jab will be thrown from an angle so there for the right cross that follows will be from an angle as well. The pivot jab can be used at the end of a combination as you pivot your body out of the way. It can also come into handy for boxing at a distance. While pivoting, you stand a chance of loosing your balance so don't be caught off guard. The backstep jab is exactly that, a jab thrown while stepping back. It allows you to punch while going back which is great for fightiing off an attack. It is executed by stepping back with your back foot and recovering your front hand at the same time you recover your front foot. Since the jab is thrown while retreating, it will not be very strong so it is best combined with counter-punches. 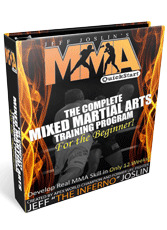 All of the jabs can be used alone or in combinations. The best idea is to master them all so you can use any one of them or any combination when the situation presents itself. Of course, all boxers will have a favorite jab or favorite jab combination but having the skill to execute all of them properly is priceless. Some of the best jabbers in history are thought by many to be Sonny Liston Larry Holmes, Muhammad Ali, Hector Camacho, and Sugar Ray Leonard. More recent famous jabbers include Lennox Lewis and heavyweight Wladimir Klitschko. 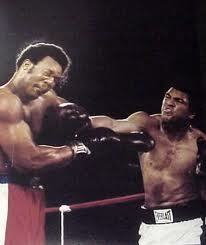 Muhammad Ali's (The Boxing Jab Great) jab was most known for its speed and Sonny Liston's for its power.